Brick Township’s Board of Education is expected to declare a formal impasse with the Brick Township Education Association – the union which represents its teachers and hundreds of other staff members – at a meeting Thursday night, Shorebeat has learned. 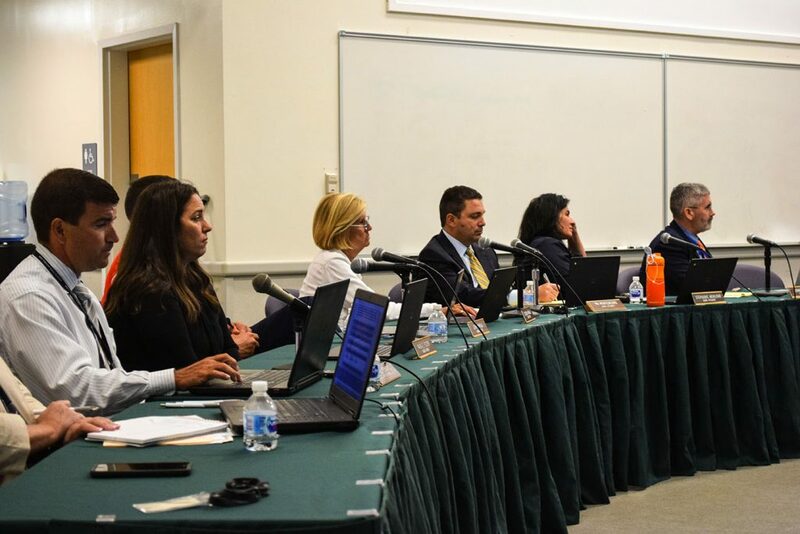 The board and the union have been negotiating for months, but sources have said relations have soured over time and there was a meeting held by teachers and other members of the union about three weeks ago to discuss the situation. Union members have been particularly alarmed that there does not seem to have been any room for raises in the 2018-19 school year budget – which could be exacerbated by a $22 million loss in state aid which will become permanent after seven years. The Brick Township Education Association represents classroom teachers, special education teachers, nurses, special services personnel, librarians, student service personnel, athletic trainers, attendance officers, instructional coaches and teachers’ aides. State records indicate the district has not declared a formal impasse with its union since 1985. Under current state law, the declaration of an impasse can be made by either side during a negotiation process and results in mediation and the potential hiring of a neutral fact-finder whose services are paid for by both parties. If no agreement is reached through the fact-finding process, the fact-finder issues a report. Ten days after the report is issued to the two parties, it is required to be made public, and the district and bargaining units have 20 days to reach an agreement. If no agreement is reached, the next step is to initiate a process known as “super conciliation” under which a “super conciliator” with subpoena powers is hired to help the two parties agree on a contract. The conciliator can take major steps, including mandatory, intensive 24 hour-long negotiating sessions, to reach an agreement. If an impasse is still in place, another report is issued which follows the same public disclosure and party deadlines as the fact-finding effort. Since super the super conciliation process was created in 2003, it has never resulted in a report being issued – parties always agreed to a contract at some point. The 2003 law is effectively silent on what would happen if the impasse remains after super conciliation ends. In July 2015, the former board reached an agreement with teachers amicably. That contract expired June 30, 2018. That contract utilized a formula which took into account the district’s total salary budget and provided increases which would be spread over all employees at varying stages of their careers, but changes to teachers’ health benefits plans largely covered the cost of the raises. The raises provided in that agreement were criticized publicly by board member Victoria Pakala after she joined the seven-member panel. Pakala was re-elected to her seat last week. In June, the district awarded a contract to a politically-influential law firm led by former Gov. Jim Florio to assist with negotiations. The contract was not to exceed $14,500 in legal fees. The meeting is scheduled to begin at 7 p.m. Thursday at the district’s Professional Development Center, located adjacent to the administrative offices on Hendrickson Road.